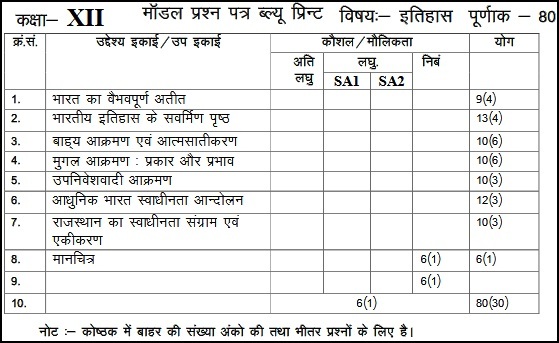 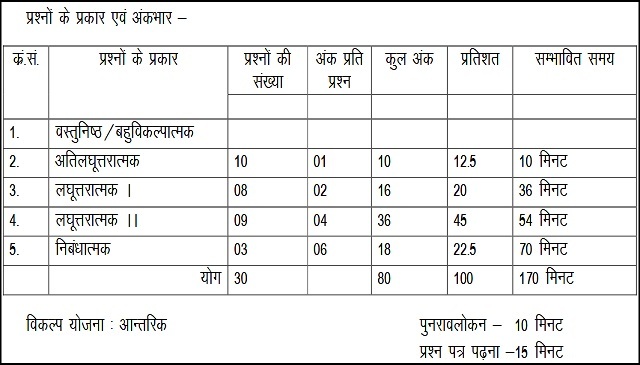 The model paper for Rajasthan Board Class 12th History subject is available here along with the complete paper pattern, evaluation scheme, unit-wise marks distribution and blueprint. 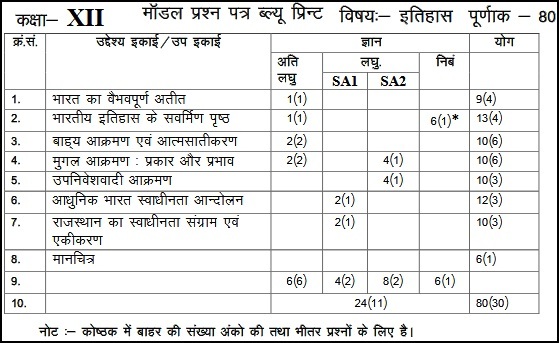 As per the syllabus of Board of Secondary Education, Rajasthan (BSER) for Class 12th History, the subject has been allotted 100 marks which are divided in to 80 marks for Theory paper and 20 internal marks for semester. 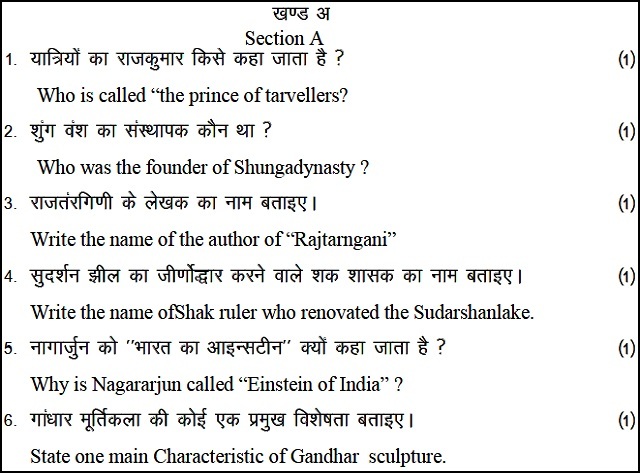 Check here all about Rajasthan Board Class 12th History question paper and also download the model paper with answer key as provided in this page below. There are internal choices from question number 28 and 29.